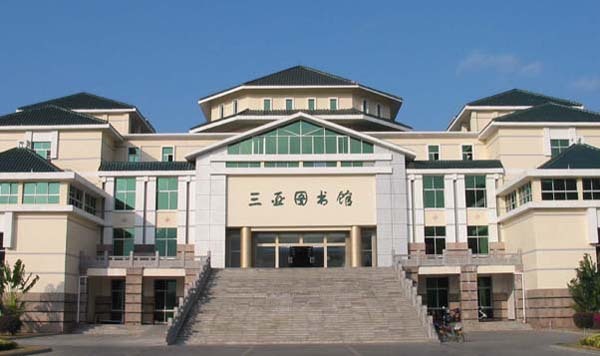 According to relevant departments, Sanya Library will be officially closed from January 1, 2011 to go through a series of renovation works in order to meet the level-2 standard of a national public library. The whole renovation project will have a total investment of 15 million yuan and is expected to be completed in the second half of 2011. Sanya Library, the largest public library in the south of Hainan Province, provides a good platform for study and learning. To keep the city in compliance with the construction of an international tourism island, the Sanya Municipal Government decided to fully renovate the library to meet the national standard. The project includes updating mechanical systems and facility services. Besides, the library will build reading rooms for the blind and add wheelchair access for the disabled to enjoy public services in a more active way. During the library renovation, the Sanya government will establish two 24-hour self-service electronic libraries around Spring Festival to keep providing library services to the public.